Don't Wait for a Toothache! Oral health is important. Why does oral health seem so easy to overlook though? Brushing, flossing, and routine dental check-ups can prevent future dental problems. It seems only reasonable that good oral health should be as important as taking care of any part of the body. The list of reasons for neglecting oral health are commonly heard. I don't have dental insurance. I don't have a toothache, nothing urgent. I'm too busy, but I'll work in a dental check-up sometime. Electric toothbrushes and floss holders compensate for lost mobility and greatly improve the situation for many people limited by arthritis. Even so, professional cleanings and examinations are necessary. People with jaw pain or severely limited range of motion in their jaw will come up against another problem at the dentist if they can't "open wide". Restricted jaw motion makes access to the mouth difficult. 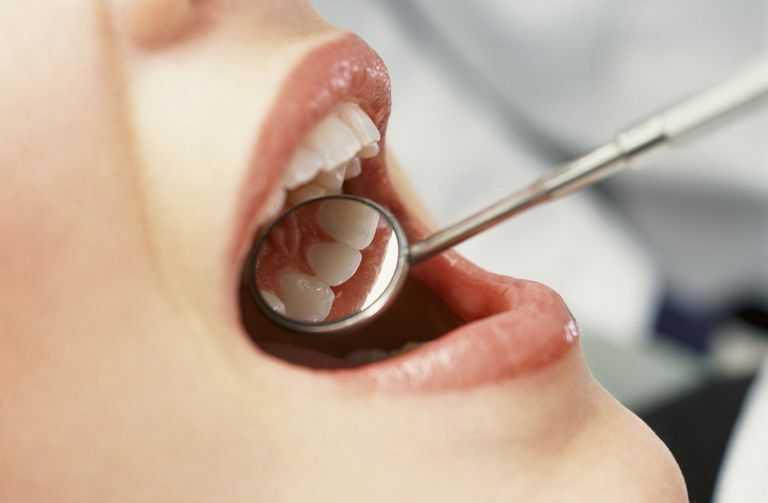 Despite difficulties and complications, oral health cannot be ignored. An unhealthy mouth may be linked to other medical problems. According to the Academy of General Dentistry, 90 percent or more of all systemic diseases produce oral symptoms. The saliva in your mouth is one of the primary defenses against bacteria and viruses. Saliva contains antibodies, proteins, and enzymes which battle pathogenic organisms. Saliva protects against some bacteria but can't eliminate all. Over 500 species of bacteria live in your mouth, according to Mayo Clinic. The existing bacteria form plaque on the teeth. Normally, bacteria from your mouth do not enter the bloodstream but they can gain entry through a cut in your mouth from a dental procedure or simply brushing. A strong immune system would quickly take care of any invader in the bloodstream. A compromised immune system will not respond as efficiently and an infection could result. Also, the mouth's defense mechanism can be impaired by some medications you may take that reduce saliva. Plaque is the colorless, sticky layer of bacteria which forms on the teeth and causes tooth decay and gum disease. Tooth decay results when the bacteria in plaque feed off the carbohydrates in our diets, producing acids which cause cavities. Older persons may also develop root decay. As gums recede, the root surface can be exposed and decay (known as root caries). Arthritis patients and people with other medical conditions are at higher risk for developing root caries. Dry mouth, also referred to as xerostomia, promotes tooth decay. Dry mouth can occur as a symptom of certain diseases, such as Sjogren's syndrome, or can occur as a side effect of some medications. Dry mouth cannot be ignored because of the potential for dental consequences. With dry mouth, there is inadequate saliva to neutralize the acids produced by plaque. When seeing a new dentist, be sure to provide a complete medical history which includes your medication regimen. The dentist needs to be aware of any medications you take which can cause dry mouth. People who have had joint replacements must be especially careful. If bacteria does gain entry into the bloodstream, it can travel and settle in the joint prosthesis. This is a major complication for a person with a joint replacement and recovery from this is difficult. For joint replacement patients taking preventive antibiotics, 2 grams of Amoxicillin, Cephalexin, or Cephradine should be taken an hour before the dental procedure (for people not allergic to penicillin). If the patient is allergic to penicillin or cannot take oral medications, alternatives can be discussed with your dentist or doctor. Advancements in technology over the past few decades have impacted dentistry as well as other areas of medical care. We are in the age of digital dental x-rays, panoramic panels, and less painful procedures. Older adults who have been diligent through life about good oral health are reaping the benefits and keeping their natural teeth longer. Survey results released by the National Institute of Dental and Craniofacial Research revealed that among people between 55 and 64 years old, the rate of toothlessness decreased 60 percent since 1960.